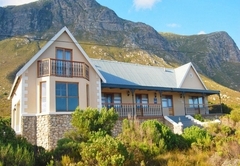 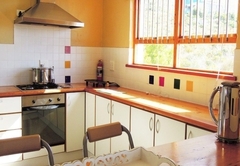 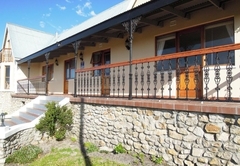 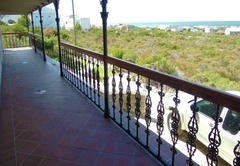 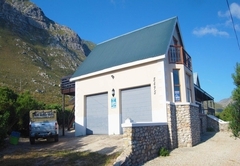 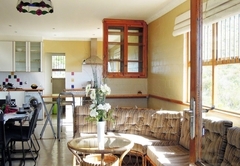 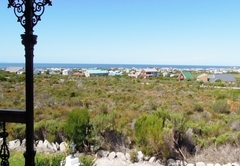 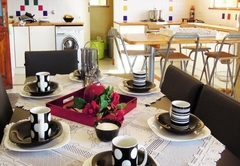 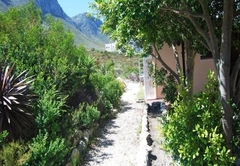 Mountain Mist is a property providing self catering in Bettys Bay for up to 6 guests visiting the Cape Overberg region. 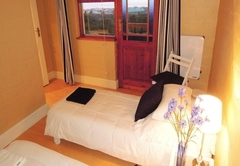 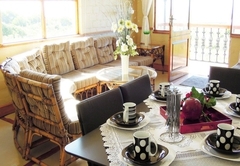 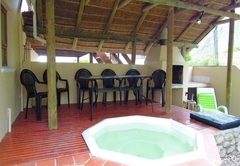 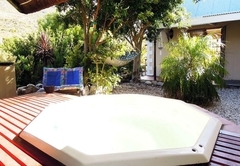 Mountain Mist is a quiet nature retreat at the foot of the Kogelberg Mountain in Betty's Bay. 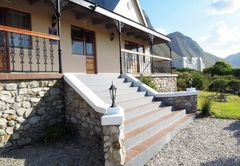 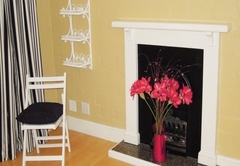 The house can accommodate up to a maximum of six guests (adults and / or children) in a fully furnished three bedroomed self catering holiday home. 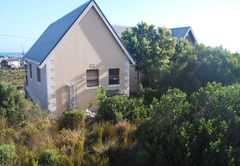 Apart from the fully equipped kitchen, living area with wood fireplace and beautiful views, you'll also find three well appointed bedrooms, each with their own separate entrance from the front porch. 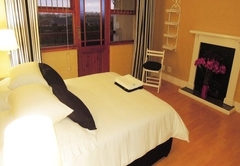 Double bed with crisp white linen, firm mattress, quality bedding and electric blanket. 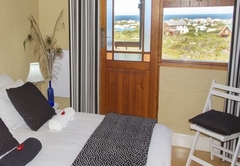 This room shares an en suite bathroom (bath and shower) with Room 3. 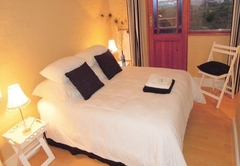 Two single beds with crisp white linen, firm mattresses, quality bedding and electric blankets. 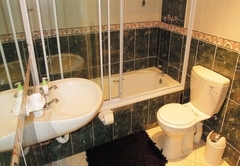 Shares an en suite bathroom (bath and shower) with Room 2. 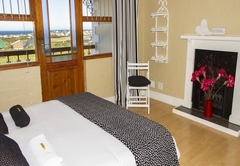 Furnished with a Queen bed with crisp white linen, firm mattress, quality bedding, electric blanket and decorative fireplace. 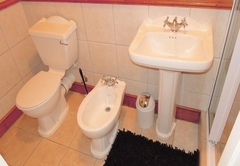 Private en-suite bathroom (shower, toilet and bidet). 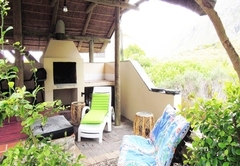 • Mountain Mist can accommodate a maximum of six guests (adults and/or children). 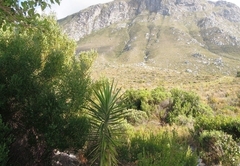 Response timeMountain Mist typically responds to requests in 5-10 minutes.